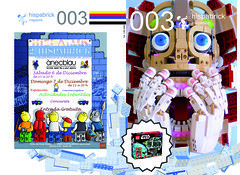 Hispabrick Magazine #003 is out! My Spanish is a little rusty, but with issue number 3, there's a version in English! There's a nice interview with Tormod that I'm looking forward to reading.